"You. Should. Write. A. Book." Five of the Most Troubling Words in the English Language. “You should write a book.” Five of the most troubling words in the English language. Every word is charged! You. Meaning, not the person speaking, but me, a guy who prefers to talk, and has never written more than a short story. Should. Meaning, the conditional, one of my least favorite words. Not “Thou Shalt.” Much softer than that. Write. Okay, I like to write, but placed in the middle of that sentence is bad news. A. As in, any. One. Pick a topic! Book. Oh, boy, then the work really begins. I had a big idea I had been working on, and I was tired of talking about it any more. It was just time. Time to write a book. So I gave myself six weeks. Five years later, I finished. There is definitely something different about diving deep into it and making a lasting work that changes the game. A lot of speakers and entrepreneurs talk about writing a book. It makes sense: If you’ve been telling your story, and bringing a vision to life for the last 5, 10 or 20 years, someone is probably telling you those words (You should write a book). And you might be tired of thinking about it, even today. 1. Start with your winner. Simple, right? Especially if you’ve been out there telling your story for some time. But it’s important to note that your Story (capital S) is made up of many stories (small s). So the one you begin with might be an extension or derivation of the story you currently tell. So as you envision your book, think of that dinner table story you tell – the one where people look up after a handful of moments and say, Wow. Now, imagine that story expanding into many parts, like an accordion, being refined in some ways and deepened in others. Although you may tell your story at the beginning, it may well become the guiding spine for your journey. 2. Tell it first. I received some good advice from Jill Wesley, a TED coach and presentation pro I was working with at the time. She offered some counsel that was truly fitting for me and it’s something I suggest to others who are just getting started. It’s often hard to get a flow going early on, so start by writing your book as a speech, record it, and then have it transcribed. That’s what I did. I wasn’t giving talks at the time, so I had to design one. With Jill’s generous help, I organized an event and recorded it. Of course, I changed my title (several times) but the core of the book was built from that talk. If you already have good versions of your story out there, transcribe those. 3. Face the voices. It’s a long, lonely, and immensely personal pursuit. You may find resistance, both external and internal as you go. For me, I was sitting in my “dome office” in our backyard in Berkeley. I had begun the process by envisioning a cut-and-dry e-book. But as I dove deeper into the journey, I realized this wasn’t really an option and, to do it right, I had to give it my best. That sunny Spring day, sitting at my desk, I committed to writing something that wasn’t quick, but good. Right as I did, I suddenly felt all these voices. Yes, that’s plural. One said, “This is crap. Everyone knows about this stuff. Why bother?” Another said, “It’s not that good. Why waste your time?” And on and on. “Listen,” I said to them, firmly. “I’m going to make this good. I’ve got no other choice.” And to my surprise, they shut up. 4. Gather your collection. Finding and shaping the stories that will substantiate your many points is a chicken-and-egg proposition. Which comes first? While my book was of course about stories, it didn’t make it any easier to find them. At one point I spent 30 days trying to find 30 stories. I went for a short story walk every day, contemplating all the stories I knew by going year by year through my life to all the lessons I had learned. 5. Find your medicine. To link your stories well to your key points, and vice versa, you’ll need to find the time – and the right medicine. Some people like black coffee for writing. Since my time ended up being – (see: Kids sleeping), coffee wouldn’t have worked – my day would have pooped out at noon. 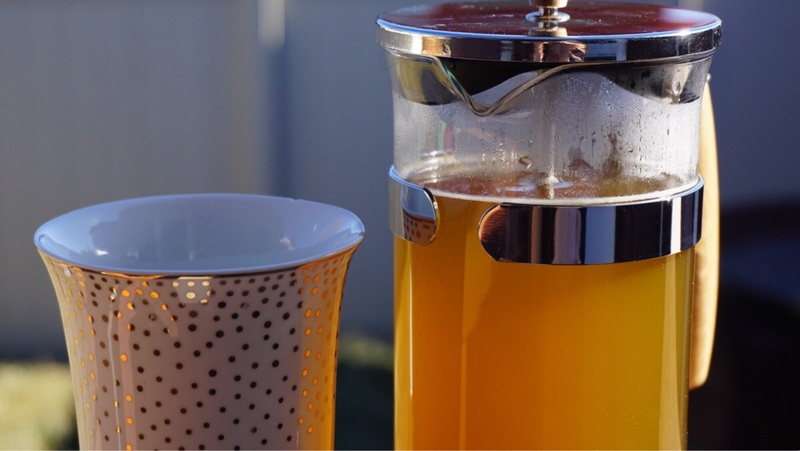 After much experimentation, I settled on a french press of EcoTeas Yerba Mate as my medicine of choice. The right spark, without the sputter. I did it, and David was right. It was excruciating. But as with the whole journey, it was worth it. And at the end, I didn’t just have a book. 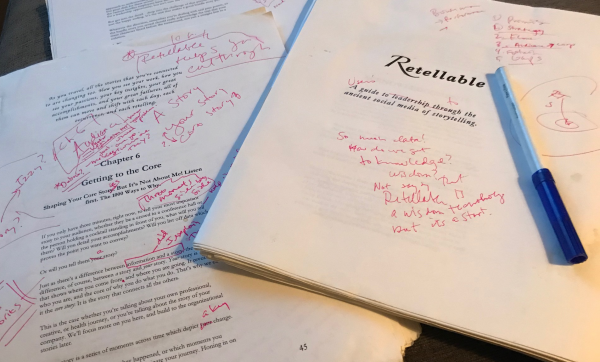 I had a collection of stories that delivered my key messages and main insights – ones that could be retold again and again, just like the stories you’re working on right now. 7. Be media agnostic. This follows on that last point. You don’t have to wait until your last draft to realize that a book is a whole new thing. It’s written. It’s spoken. It’s video. It’s a projection of the key kernel of your insights, spread out in 1000 ways. But still, you might call it a book. Or a platform. Or a hologram. But whatever you call it, it’s your story, come to life. And if you have one that is burning to be brought to life, You. Should. Write. A. Book. Jay Golden is Author and Founder of Retellable. You can find his book here.